A massive convergence of new technologies is taking place right now, and each of these will branch out to change the world in new and unforeseen ways. How will our daily lives be affected by this new revolution? Here are four of the technologies that will soon impact everyday life! 3D printing is going mainstream, but there’s one thing holding it back: energy is expensive, and 3D printing uses a lot of it. 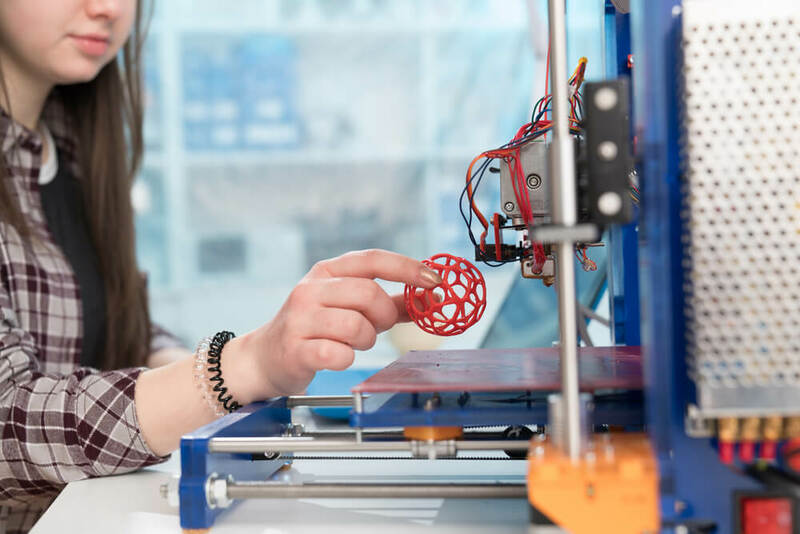 By 2030, renewable energies such as solar and wind will have grown to support the world’s energy requirements, and 3D printing will grow in proportion until then. This technology will result in more customization. Instead of supplying goods and services for a group of people, businesses will provide them based on an individual’s needs. The technology can also be used to print food, pharmaceuticals, and even entire organs. Instead of going to the doctor for a checkup, we might soon send information about our vitals to specialists by using wearable devices. If the doctor finds something wrong, we might have the option to download blueprints for a specific medicine, and then print it from comfort of home. The Amazon Echo turned heads last year. The Echo is a device which takes the idea of information assistants such as Siri, Cortana, or Google Now, and places them on the coffee table instead of in your phone. The Internet of Things (IoT) is growing exponentially, and will soon result in computer-chipped refrigerators, toasters, and even flat surfaces like counters or tables. Computer screens will be everywhere while personal computer and tablet ownership declines, and voice recognition will govern how we interact with this new wave of devices. We’ll no longer use keyboards as a result. The transportation industry is rapidly transforming. Manufacturers like Tesla and Audi are making cars with an autopilot setting which will introduce autonomous driving in highway environments in the next two to five years. Within a decade, it’s expected that fully autonomous vehicles will spread to streets all over the country, both rural and urban. When they do, there will be upheaval in many industries. Companies like Google, Apple, and Uber–in addition to most automakers–have already shown interest in autonomous vehicles which would eventually replace human taxicab and truck drivers. The possession of a smartphone will be essential to those without their own transportation. In the long-term, we might see the integration of a new public transportation system, or the private ownership of vehicles vanish. The most recent proposed regulations by lawmakers would force commercial drone operators to be within eyesight of the device at all times, making it all but impossible to provide the same-day delivery service that Amazon, Google, and other companies would like to implement in the near future. Other countries are already testing and implementing commercial drones of their own, and so it would be economically untenable for the United States not to follow in their footsteps. When this technology is finally available, the number of packages requiring human delivery will plummet, potentially forcing the USPS deeper into bankruptcy. In addition, the number of online impulse purchases will likely skyrocket, providing a temporary boon to the economy. Over the long-term, however, the reduction in the number of jobs will be difficult to ignore. These four technologies all have one thing in common: in the future, they will reduce the number of jobs available to humans and increase our reliance on automation and machines. How the economy and various political processes will adapt to these changes in the next ten or twenty years is still an unknown, but a massive tidal wave of technology is coming, and we should be prepared to meet it.